Welcome to the enchanting world of Tulipop! 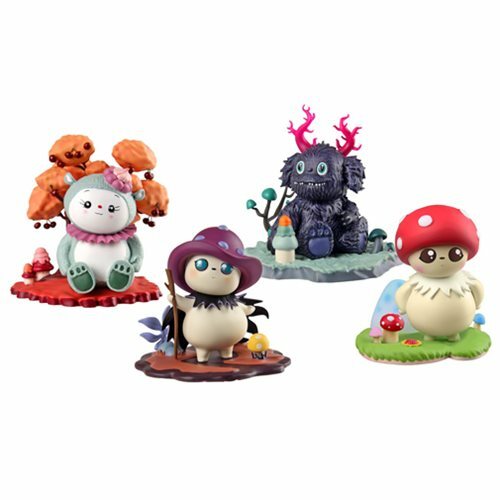 Collect the whole town of Tulipop with these Blind Box Mini-Figures! Each closed box holds a magical mystery waiting to be opened. Collect all 4 unique characters like Bubble the daydreamer and use the included diorama to act out you own story. Create your own adventure with these Tulipop Blind Box Mini-Figures. Each figure measures about 3-inches tall. Ages 8 and up. This Tulipop Blind Box Mini-Figures Display Tray includes 12 individually packaged blind boxes (subject to change). Created by Signy, a mother of two, paired up with her best friend to create the magical world of Tulipop. In 2010, they launched their unique characters in Iceland, their homeland, and since then they have become an a established award-winning brand.